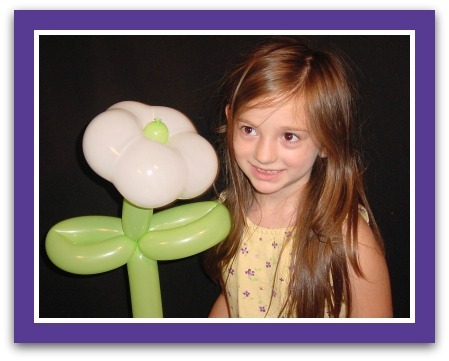 Geo Blossom balloons are a speciality balloon from Qualatex. 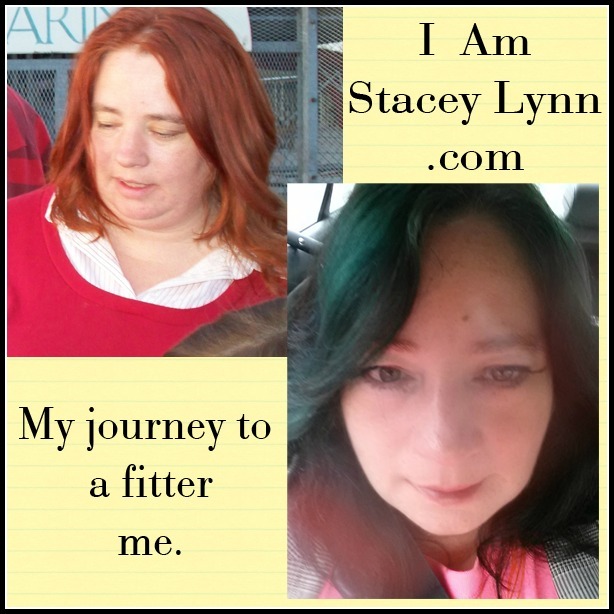 They come in two sizes, 6" and 16". There are a lot of creative uses for them - some twisters do amazing things with geo blossoms. This is simply how to use them as a flower. It's not event he only way to do flowers with them, just how we do it. 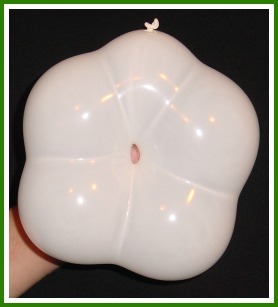 Inflate your geo blossom balloon fully. 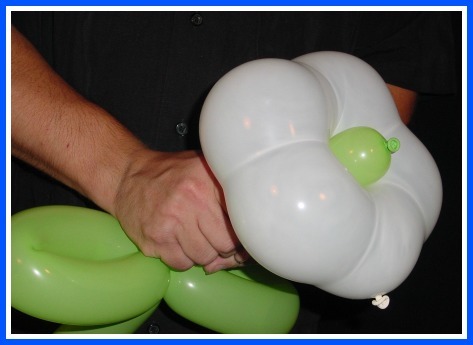 Make sure that all lobes are fully inflated and the flower isn't lopsided. The geo may be very difficult to tie. 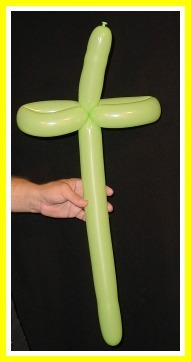 Stretch the neck out as far as you can to when you tie this balloon. The jewel toned colors are much easier to tie than other colors. 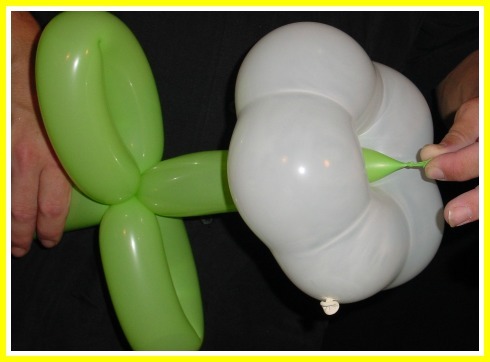 Not the coolest thing you can do with a geo, nor the most cost efficient way to make a flower - but it's one that people love. I think it may be seeing the balloon with a hole in the middle.